1989-94 without retractable headlamps, 1991-94, push in. 1989-94 without retractable headlamps, 1989-90, push in. 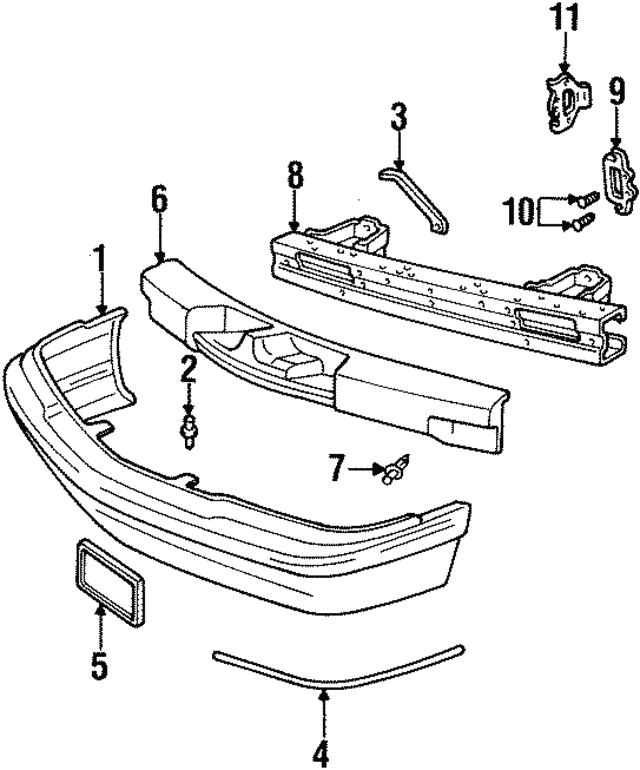 1988-90 coupe, sedan, convertible, to support. With retractable headlamps, 1988-89, push in. Without gxp, without special edition pkg. 1993-97, Firebird & formula, upper. 1998-02 Firebird & formula, upper. 1989-91, bumper cover, upper. Type 2, 2005-07, LS, lt & ltz. 1998-02 trans am, upper. 1989-91 standard, se. Station wagon, lower. Without Impala SS. 1985-96, push in. Type 3, SS & sport. Type 1, base & LS. 1998-02, center. 2 door, 1989-94. 1988-90, lower. 1982-84. 1996-98. 1985-90. Side. 1995-05. 2000-04. 1992-95. 2006-08. 2001-04. 2004-05. 8.1L gas. 1997-2000. 2001-2005. Oldsmobile. Without z34. Sedan, lower. Standard & gt. 1991-92 all. 1997-00, lower. 1994-96, lower. 1990-93, lower. 1993-96, lower. 1990-92, lower. 1992-97 4 door. 1992-97 2 door. 1991-92, push in. Type 2, 2008-10, lt. 5.3, 6.0L 2002-04, 8.1L. 1991-94 4 door, push in. 4 door, 1991-94, inserts. 1993-97 trans am, upper. With z24, upper, retainer. With z34, plastic insert. 6.6L turbo diesel, 2006-07. 6.6L turbo diesel, 2001-05. Coupe, sedan & convertible, push in. Without appearance package, lower. 1991-96 se coupe, without aero pkg. 4.8, 5.3 & 6.0L, 4.8l & 5.3l 1999-04, 6.0L. Coupe & sedan, without aero performance package. 1994-96 se coupe with aero package & gtp, type 1. Notes: Tape Comes In 5 Meter Roll, Cut As Required. Includes Right, Left And Center Pieces, As Well As Mounting Braces And Hardware.